Forest School for Rang 2 has started this week with great enthusiasm from children and adults alike…. despite the sudden cold snap! Remember Parents’ Day is the 12th/13th March but there will be more about that closer to the date! We also said farewell to Rocco (R2) and Roxy (SI) this week. We will miss them very much here in RMDS and wish them well in their new school. 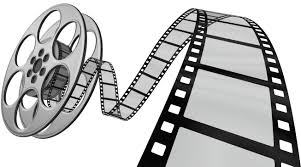 RMDS Cinema Night – Friday, 1st February! Tickets on sale from Monday morning. 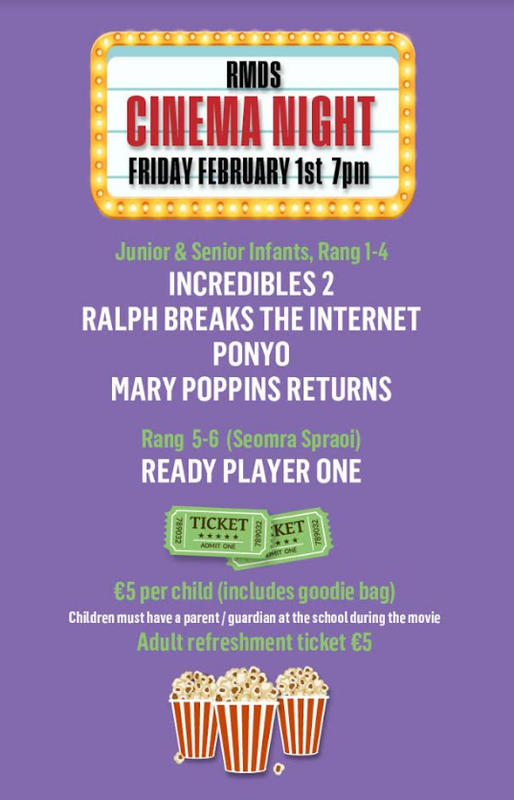 Tickets for adults refreshments - available in the Hall while movies are on - will also be on sale at the gate. Parents/guardians are welcome to stay in the movie rooms with their children if they'd like to - but please don't buy movie tickets for adults - these are for the children only. Thanks! IPAD found on school premises - newer version with lightning connector - please call to office to claim.